Hotel Asturias was conceived with the sole aim to make your stay in the beautiful city of Arequipa, is full of comfort, providing an excellent modern building servicio.Edificio distributed on four levels and a basement, with architectural details that are consistent with urban environment of downtown. 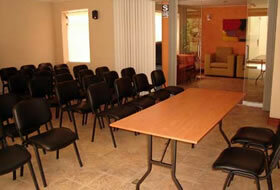 Our facilities are located in the historic center of the city of Arequipa, on Calle Ugarte No. 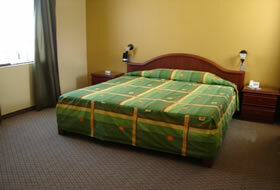 211, two blocks from the Plaza de Armas and 10 meters from the Monastery of Santa Catalina. Arequipa, known as the White City for its beautiful white walls of ashlar stone, a volcanic stone, Arequipa lies at the feet of Chachani and Misti volcanoes and snow Pichu Pichu. In the center of the city, declared a World Heritage Site by UNESCO in 2000, may be temples and colonial baroque style and the Monasterio de Santa Catalina, a Spanish city in miniature stone streets, beautiful courtyards and plazas. Sabandía Tiabaya and Tingo, in the countryside, are places to visit, and the irresistible Arequipa cuisine is the perfect complement to your visit. Located just 3 hours and 45 minutes from the city, is the Valley and Colca Canyon where you can see colorful pre-Inca terraces cultivated to date with quinoa, corn, barley and wheat. In pre-Hispanic times, the department was inhabited by Collaguas and Cabanas, today, people have learned to conserve their Colonial churches in Yanque, Lari, and Madrigal, and still wear traditional clothing. In the valley also are adventure sports like mountain biking, trekking and canoeing, and the Cruz del Condor, you can view the majestic flight of the condors. 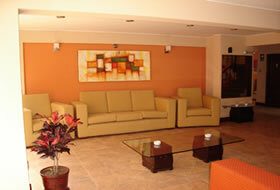 Our hotel offers 23 comfortable rooms on three levels: Second Floor: 4 bedrooms. Doubles and 2 singles. Third Floor: 5 bedrooms. Doubles, 2 singles and 2 bedroom suites. Fourth Floor: 4 bedrooms. Doubles, 2 singles and 2 bedroom suites. We also have spacious, comfortable and cozy lounge and restaurant service "Don Quichotte", located on the first floor of our building, by a French chef who specializes in international cuisine, with experience of over 30 years worldwide and drinks of all kinds, offering a varied menu and specialty care for your satisfaction.